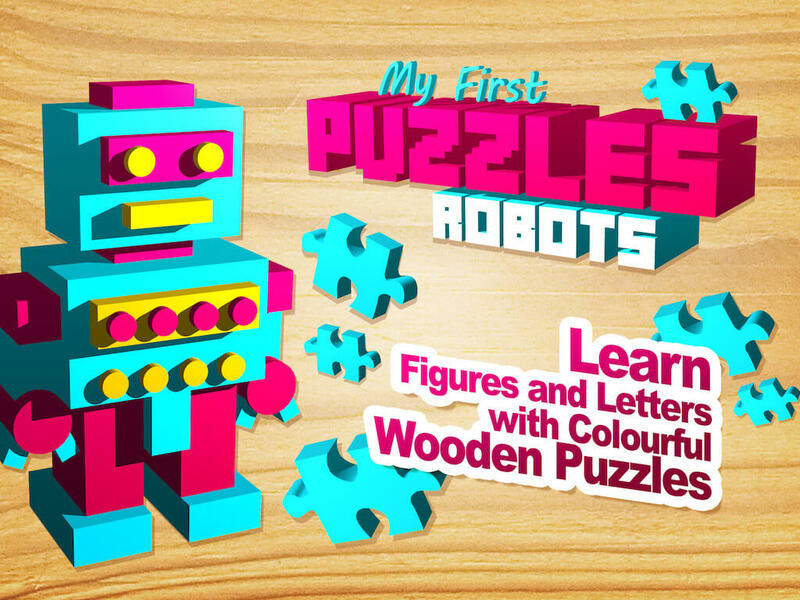 With ‘My First Puzzles: Robots’ your kids will learn the numbers and the alphabet quickly, while playing with colourful wooden puzzles. 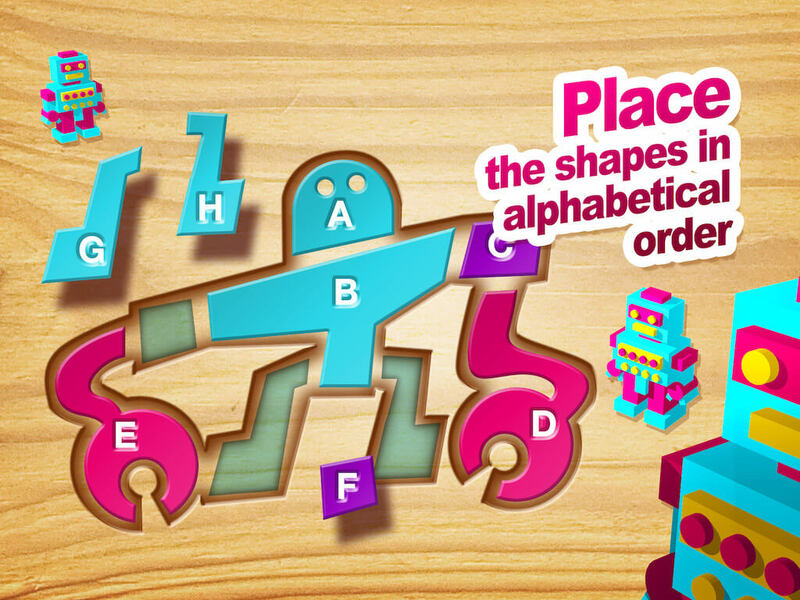 – simple puzzle mode: kids can put shapes in the order they want. 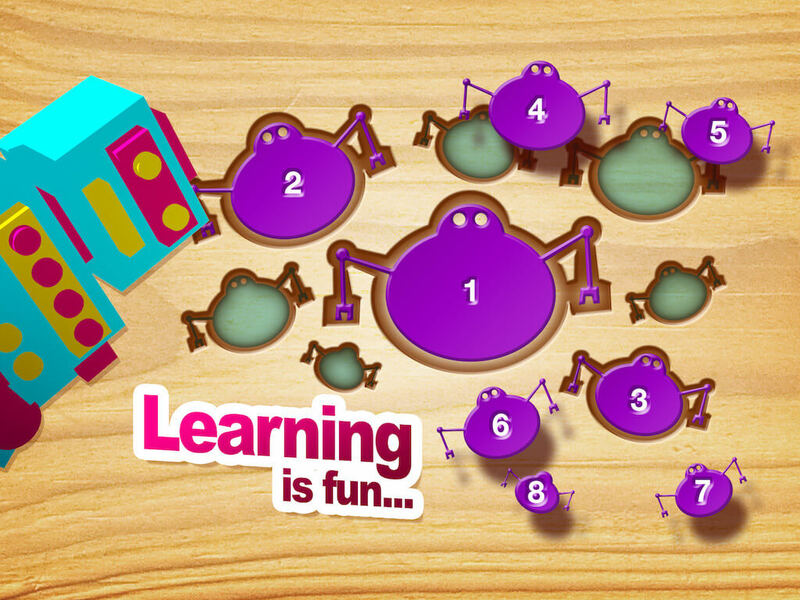 – number puzzles: kids must put the shapes in the order indicated by the numbers on the shapes. – lowercase letter puzzles: kids must put the shapes in the alphabetical order, letters are displayed on the shapes. – uppercase letter puzzles: samething, with lowercase letters. – 1 star level: Marks are displayed to place the shapes. – 2 star level: No marks displayed, Kids must find the right location for all shapes. 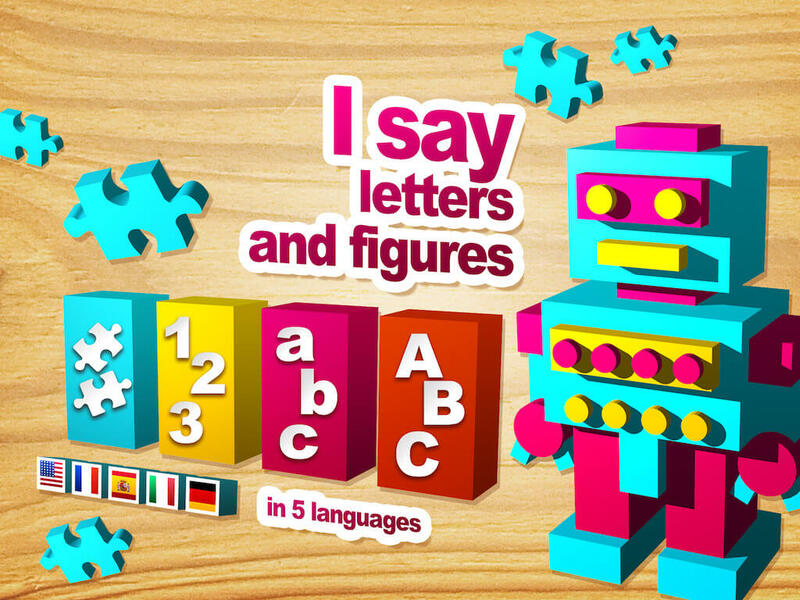 Numbes and letters are spoken by humans when successfully played and 5 different languages are available. This can be switched off in the Parental Gate. A robot voice option is alsoavailable, for more fun. This can also be switched off in the Parental Gate. Dedicated to the parents, this area is used to manage the (single) in-app purchase to unlock the full version. 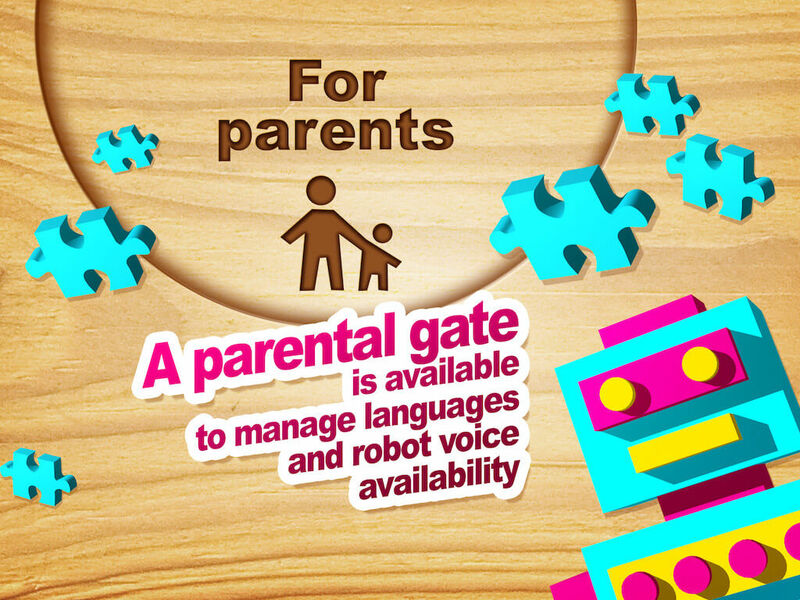 You can also pmange the options of the different languages and the robot voice.